Ubisoft has big plans for Assassin's Creed Odyssey in March. Additional items and another story episode are scheduled for this month. There's also news on the remaster of Assassin's Creed 3. Fans of Assassin's Creed have plenty to look forward to this month, with extra content coming to Assassin's Creed Odyssey and also the upcoming Remaster of Assassins Creed III later this month on March 29th. This upcoming Remaster will not only include additional graphical updates, but also features a number of gameplay changes to make combat better including new stealth mechanics and more! Earlier this month we got the final chapter of "The Legacy of the First Blade" when the third episode "Bloodline" dropped on March 5th. 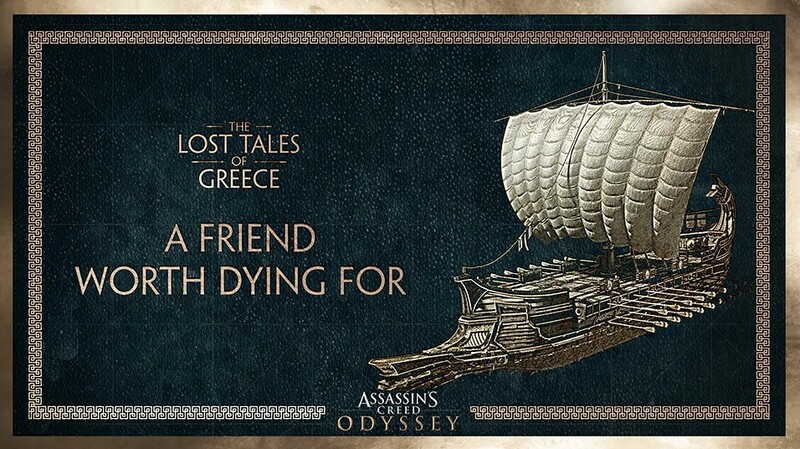 On March 26th a new chapter in the Lost Tales of Greece will become available when "A Friend Worth Dying For" launches. Help your trusted ally Barnabas discover the truth behind his hallucinations with the newest Free Story Content. 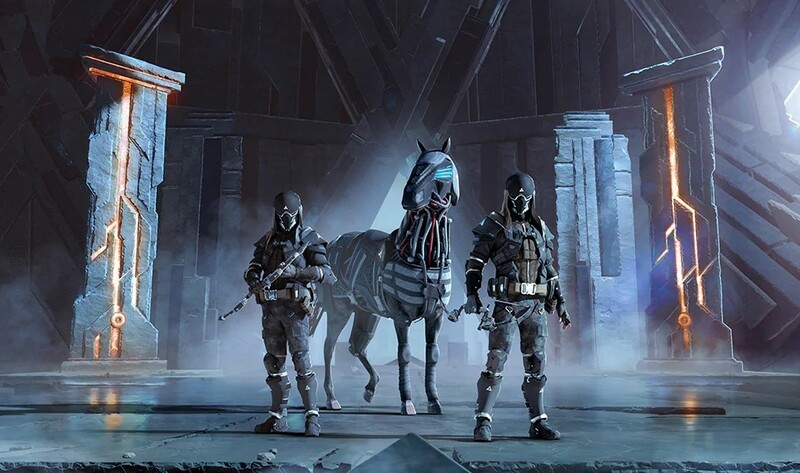 To start this players must have reached Chapter 5 in the Main Assassin's Creed Odyssey campaign and then travel to Skyros Island to start the quest "Odyssey into the Past". On March 19th, Ubisoft plans to release the Abstergo Pack into the wild. This new pack includes a new outfit, a new mount, and a special bow. There will also be a new Naval Pack with a matching ship design, figurehead and crew theme. The Abstergo content can be purchased from the in-game shop or from the Oikos of the Olympians merchant. Also available on March 19th, players will be able to voyage to the bottom of the sea and get their hands on a new Captain Octopus themed skin! With the Season Pass for Assassin's Creed Odyssey (which is also included in the Gold and Ultimate editions) you'll also get a free copy of the AC3 and AC3 Liberation Remasters, which are due for release on March 29th 2019. Even if you don't own the Season Pass, they will be available separately at release. The Remasters have been lovingly crafted to offer new features such as 4k and HDR support, with improved graphical enhancements on models and lighting in particular. Not only will the upcoming Assassin's Creed III Remaster get a graphical update, but it will receive a number of gameplay mechanics to improve the flow of combat and more! New legacy outfits of famous Asassins including Alexios, Bayek and Aguilar! 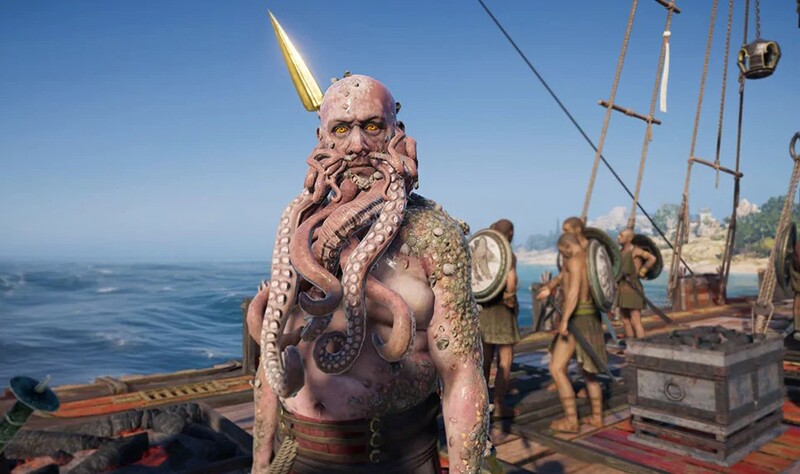 The Season Pass for Assassin's Creed Odyssey is currently available with a 10% discount at Gamesplanet. For newcomers we recommend grabbing the Gold- or Ultimate-Edition for Assassin's Creed Odyssey, both Editions include the Season Pass and will also include the upcoming AC3 Remaster! Thank you for this, I loved it.